This year marks the centenary of the Armistice, which ended the First World War. In the past four years commemorations of all sorts have taken place. The Duke and Duchess of Cambridge attended the observation of the Battle of the Somme centennial at the Thiepval Memorial to the Missing of the Somme, France, in 2016. And many smaller tributes have taken place across the Western Front. Modest crosses of remembrance have been placed in cemeteries and chapels by relatives coming on a pilgrimage considering those who suffered the horrors of the Great War 1914-1918. These commemorations have been an opportunity to revive the awareness, not only to recall the tragedies, but also to maintain the memorials, monuments and cemeteries raised in honour of those who lost their lives. One of these memorials that is currently undergoing renovation work is the Le Touret Memorial, designed by J.R. Truelove, a fine building in the British classical tradition. The entrance gives way to a peristyle and portico’s, providing a dramatic view of over the many tombstones. 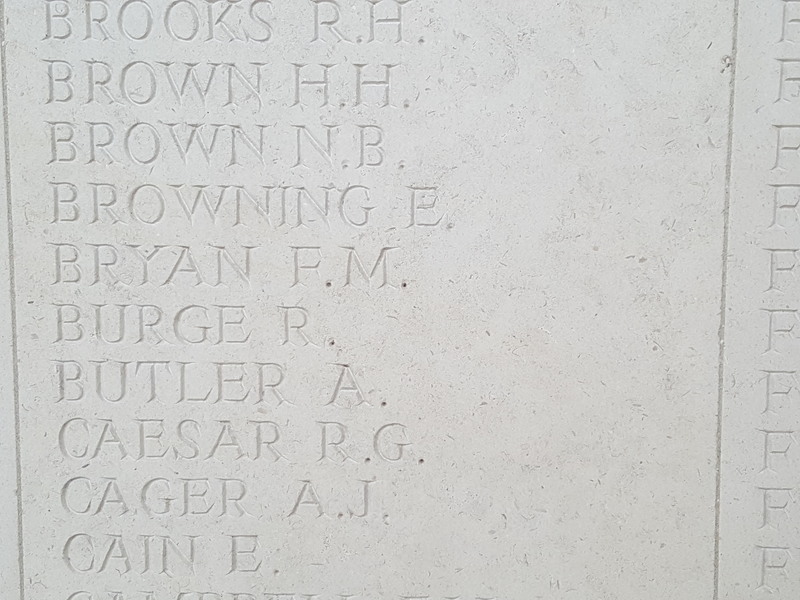 There are 13,400 British soldiers, their names engraved on the white walls commemorated here, who fell during the early months of the Great War. Driving back home from a short break in Northern France, we passed the site only a few weeks ago. I first visited memorials in the region on a family holiday in the 1980s. My parents took my brother and me abroad, crossing the channel by ferry like so many Britons do every year. First stop in France was Arras. This ancient capital of Artois is a lovely historic town with a beautiful square where I as a young boy took one of my first photographs (my brother insisted I would take a picture of him holding something he found lying on the cobblestones). In the background of the image was the top of the Belfry. Like so many buildings it was completely destroyed during the war. My parents preferred to avoid the motorways, moving from town to village taking country roads and encountering that sense of being in a different country. Northern France is different from the North of England, from the Greater Manchester area, and one thing that struck me back then were the Crosses of Remembrance and the Memorials that seemed to be hiding behind every hill and between trees in every field. Cemeteries in the most odd locations, and beautiful classical buildings that inspired a young boy back home to draw architecture. 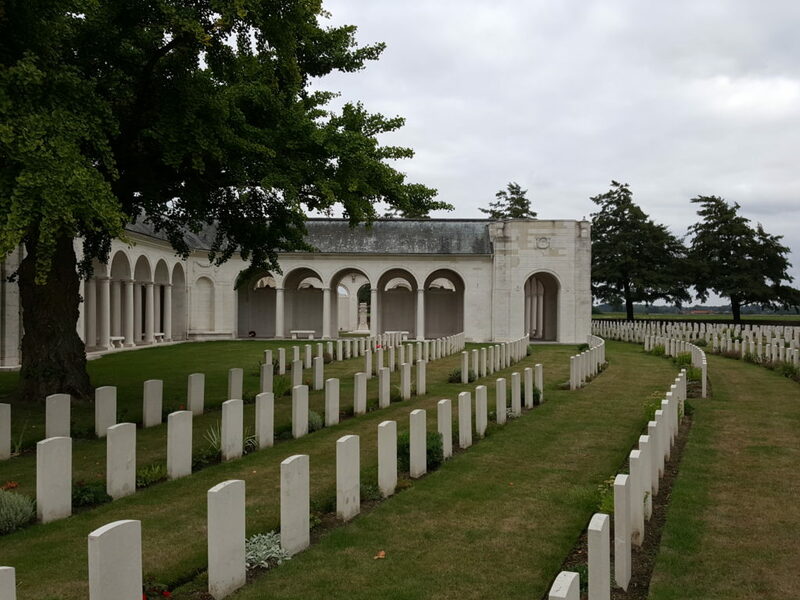 The decision made by the British government at the time to build cemeteries and memorials on site, in France and Flanders, and not to repatriate the bodies and remains to the UK, has had far on going implications. Relatives had to cross the channel to visit the graves of their beloved sons, cousins, brothers. The bodies of many thousands and thousands were never found, their names are engraved on the walls of structures that were erected as memorials. People from all over the world, from the UK and Ireland, from Canada, Australia and New Zealand, come here on a pilgrimage, honouring those who suffered and died during the First World War. Some of them leave letters or a tiny cross with a poppy, as personal tokens. The decision to build the memorials here, in France and Flanders, to erect the crosses of remembrance on the place where the officers and men gave their lives, often after a horrible time in the trenches, has forever changed the landscape into a field of remembrance. At Le Touret Memorial we stopped the car and went out. There is a strange attraction coming from these memorials and cemeteries. Looking not only as an architect at these beautiful buildings, monuments and sites, but at what they represent. The past years have seen renewed interest in memorials and cemeteries of the Western Front, and many have been renovated. French statues were restored, some repainted, by the local municipalities. The CWGC has done an incredible job renovating and upkeeping of all those Commonwealth memorials and cemeteries. Some of the work still going on, as at Le Touret. 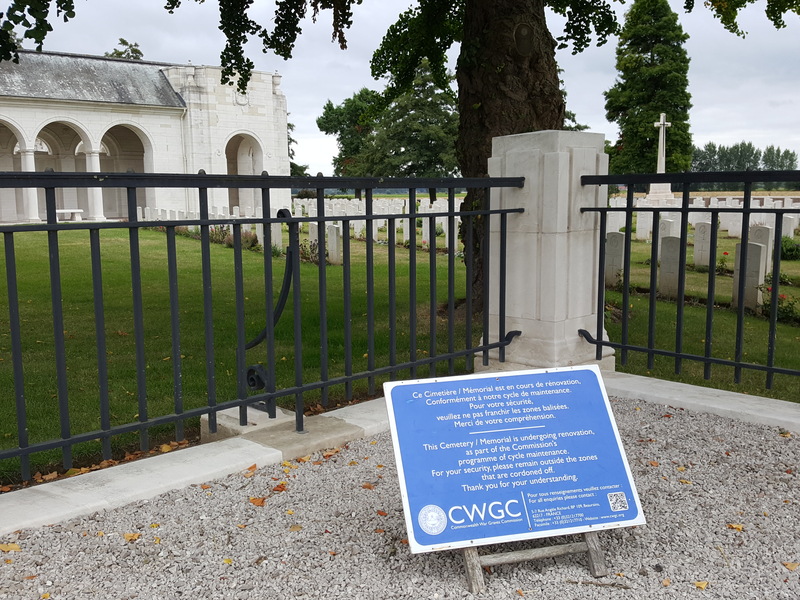 the maintenance, of course, of these memorials and cemeteries is not over after we commemorate the centenary of the end of the First World War on 11 November this year. As we walked along the walls of the memorial, my eyes were strangely attracted by all these names written on it and started looking for that accustomed name. Surely there are others like me. And when that familiar name is found, that person suddenly becomes your A. Butler, your own relative. The memorial becomes what is represents, a shared heritage of a common past. Lest we forget. 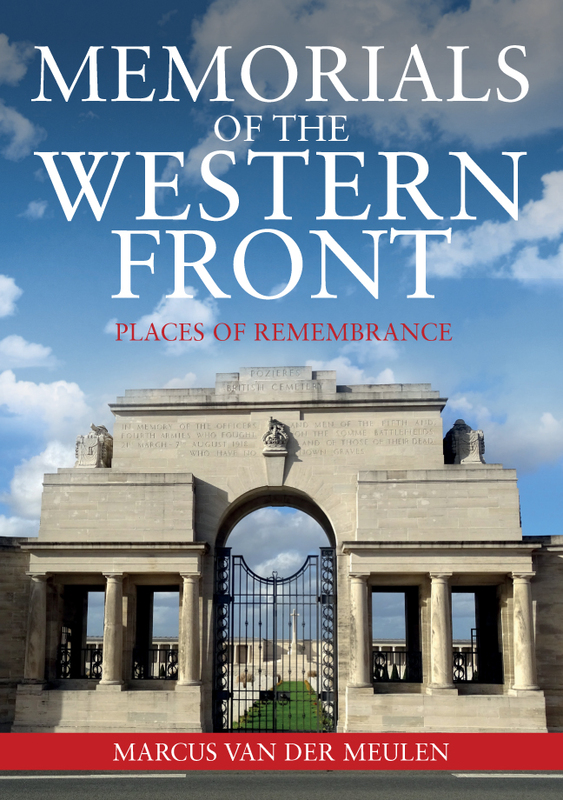 Marcus van der Meulen's new book Memorials of the Western Front: Places of Remembrance is available for purchase now. This entry was posted in Blog and tagged Monuments, Great War, Western Front, Memorials, Places of Remembrance, Memorials of the Western Front, Marcus van der Meulen, WWI, Military History, Amberley Publishing on November 9, 2018 by Amberley Publishing. Evesham’s Military Heritage? An interesting title and a fascinating subject; but how to write such a book? The challenge wasn’t the lack of material. Indeed, the opposite is true: there’s far too much. After all, entire books have been dedicated just to Simon de Montfort (Earl of Leicester) and the Battle of Evesham (4th August 1265); its context, characters, impact and implications. Instead, the challenge was to make the book relevant to a modern reader. After all an account of old battles, however interesting in itself, can hardly be considered pertinent to the current day. For me, the key to unlocking this puzzle was the word “heritage” and the related idea of “inheritance” (that is, something valuable handed down through generations). This simple thought allowed me to connect old events with modern times. I found this such a valuable angle that early drafts included the subtitle: “A local history of war and remembrance”. What to include? A mass of notes was narrowed down to four main topics: the Battle of Evesham (1265), the English Civil Wars, WWI and WWII. The first two were obvious candidates as Evesham had been the scene of major conflicts and suffered significantly. The latter two made good sense as they were significant events, closely felt, which are still actively remembered. Scattered throughout were shorter chapters on the contemporary remembrance of past events. But why should a reader care? I thought there were three reasons. First, in the history of Evesham there are some compelling personal stories; including the death of Earl Simon (1265) and the extraordinary public service of Mrs Haynes-Rudge (1914-18). Second, studying Evesham’s military heritage provides a richer understanding of the town (including, most obviously, its street names). Third, the book sets out some of the (local) present uses of the past: how history has been routinely reclaimed and recycled to suit contemporary needs. Interestingly, Evesham’s remembrance of its own military past has changed dramatically over time. 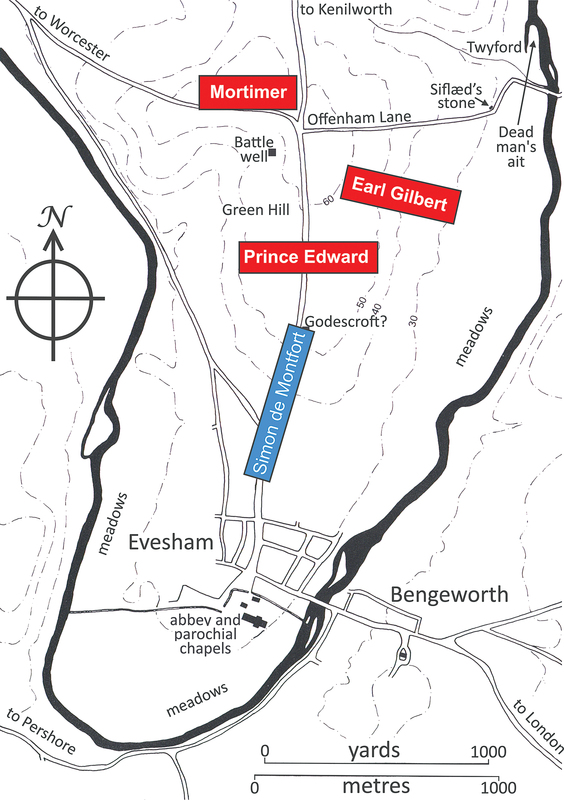 The clearest example is with the Battle of Evesham (1265). The battle itself was brutal and horrific. Indeed, Robert of Gloucester (fl 1260-1300) described it as “the murder of Evesham for battle it was none”. Soldiers fleeing the battlefield were pursued and slaughtered. Local tradition tells us that Welshmen (from Earl Simon’s army) who fled towards Twyford were cut down at a place known as “Dead Man’s Ait”. Those fleeing back into the town were pursued and killed. 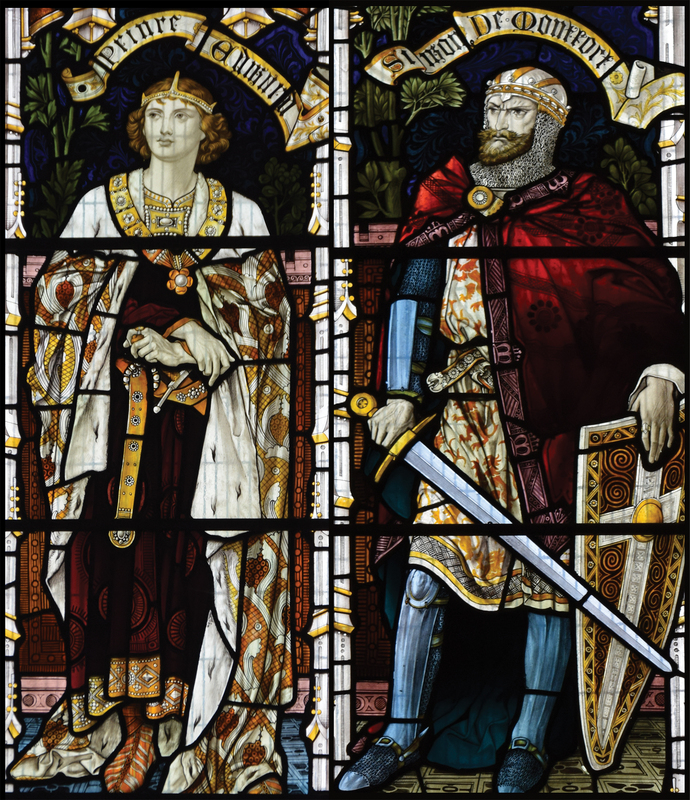 Those who sought sanctuary in the parish churches, and Evesham Abbey, were followed and slain. Blood from the slaughter stained the very centre of the abbey (between the transepts, under the tower). For some twenty years (or so) after his violent death, Earl Simon remained a popular even populist figure. Indeed, there was a vigorous local “cult” dedicated to Earl Simon with prayers invoking him as intercessor. Inevitably this was soon suppressed by the king (after all Earl Simon was a traitor and had been excommunicated) and Earl Simon’s fame afterwards faded. In the early Victorian age Earl Simon’s reputation was, perhaps unexpectedly, powerfully revived. Wrapped up with a powerful move for parliamentary reform was a search for early champions of democracy. 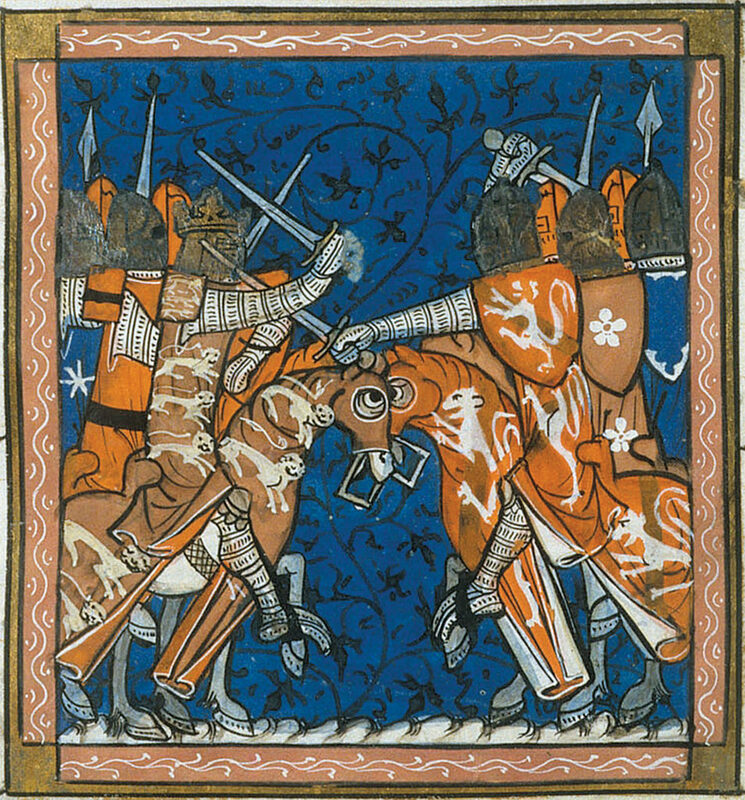 Earl Simon, who summoned a parliament in January 1265 to bolster his own power, was soon adopted and duly transformed into a heroic figure fighting for liberty. In Evesham in the 1840s, this new view was reflected in new local memorials; including an obelisk and church stained glass. At Evesham, in 1965, Earl Simon’s status as democratic hero received full official recognition. 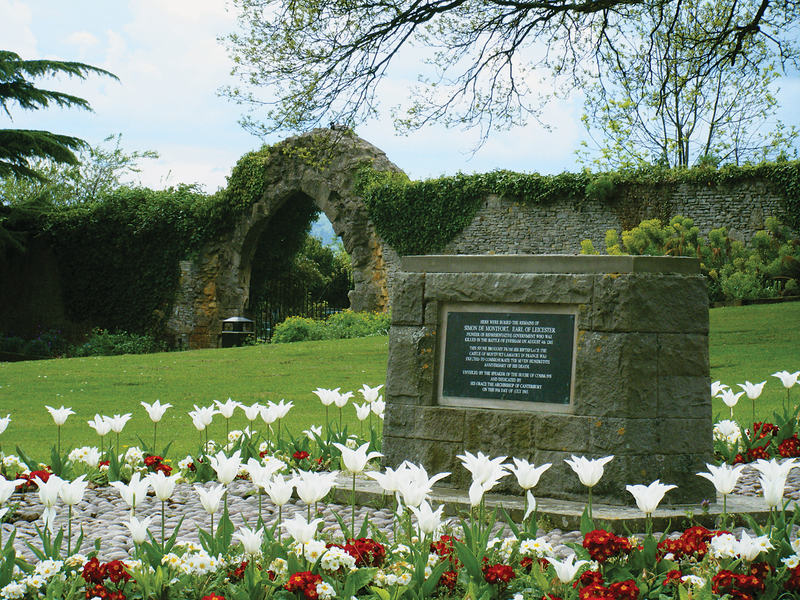 The Archbishop of Canterbury, supported by dignitaries including the Speaker of the House of Commons, dedicated the Simon de Montfort Memorial in Upper Abbey Park. Today, of course, things have changed again. The 750th anniversary of the Battle of Evesham (2015) was particularly marked by a large-scale re-enactment on the Crown Meadow. The original slaughter, transformed through time, has become the occasion for public entertainment and an excellent day out. The book Evesham’s Military Heritage embodies many levels of remembrance. Most obviously, the book considers how the military past has been remembered locally and, for the English Civil Wars, largely ignored. For WWI and WWII I made significant use of local memories, reports of local experiences, local poems, and most importantly excerpts from Eva Beck’s wonderful autobiographies. Additionally, the book is dedicated “in memoriam” to two local historians now sadly deceased (Mike Edwards and Gordon Alcock). I also included memories from my grandfather (who served in WWI) plus pictures from my father. In this way, the book not only discusses remembrance (and the way it has changed) but is also itself an act of remembrance. 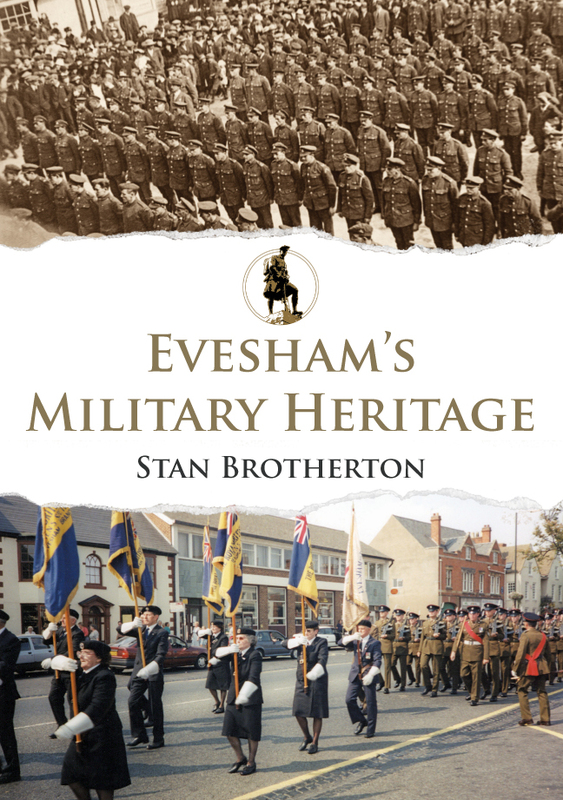 Stan Brotherton's new book Evesham's Military Heritage is available for purchase now. This entry was posted in Blog and tagged Battle of Evesham, Stan Brotherton, Evesham's Military Heritage, WWI, Worcestershire, Evesham, WWII, Simon de Montfort, Local History, Military History, Amberley Publishing on September 20, 2018 by Amberley Publishing. The Battle of Jutland, fought on 31 May 1916, has long been regarded as an indecisive stalemate with neither side willing to risk the safety of its capital ships. In fact, nothing could be further from the truth. The Grand Fleet at sea, led by Admiral Jellicoe in the battleship Iron Duke - in Churchill's words, Jellicoe was 'the only man who could have lost the war in a single afternoon'. It was a responsibility that weighed heavily on the admiral's mind. 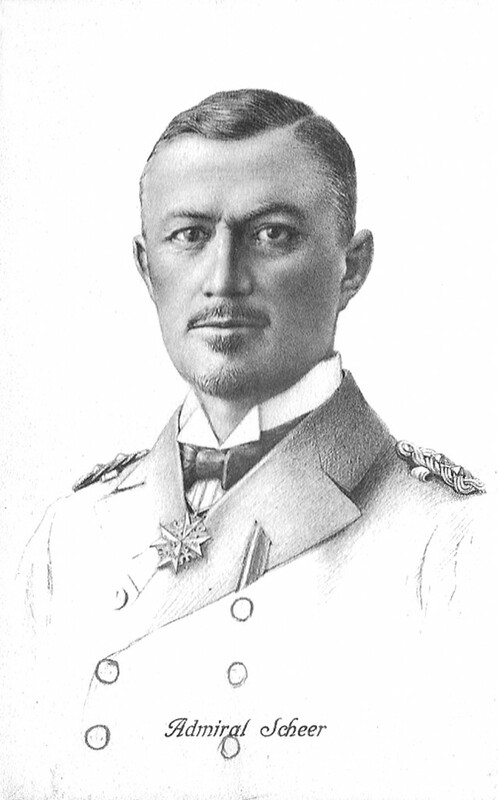 Admiral Reinhard Scheer, mastermind of the German plan and commander-in-chief of the High Seas. The answer is simple – the British. 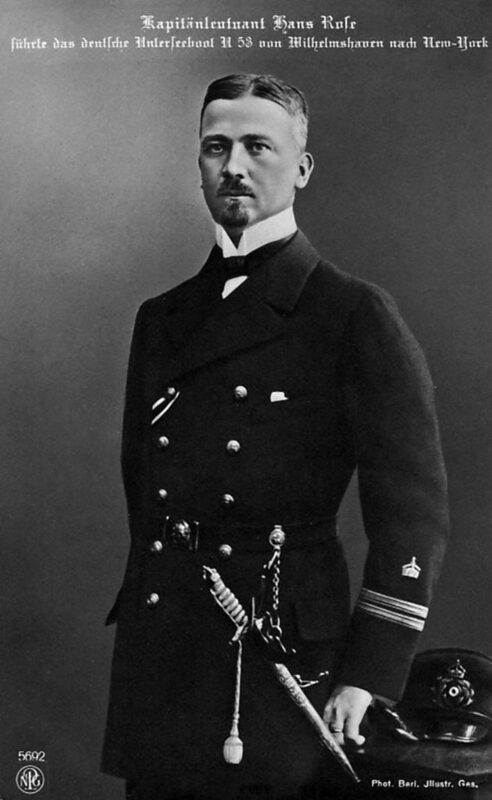 After the battle Admiral Scheer retired to port and, with the exception of one tentative venture that ended without action or contact between the fleets, the next time the High Seas Fleet left port was to surrender in 1918. 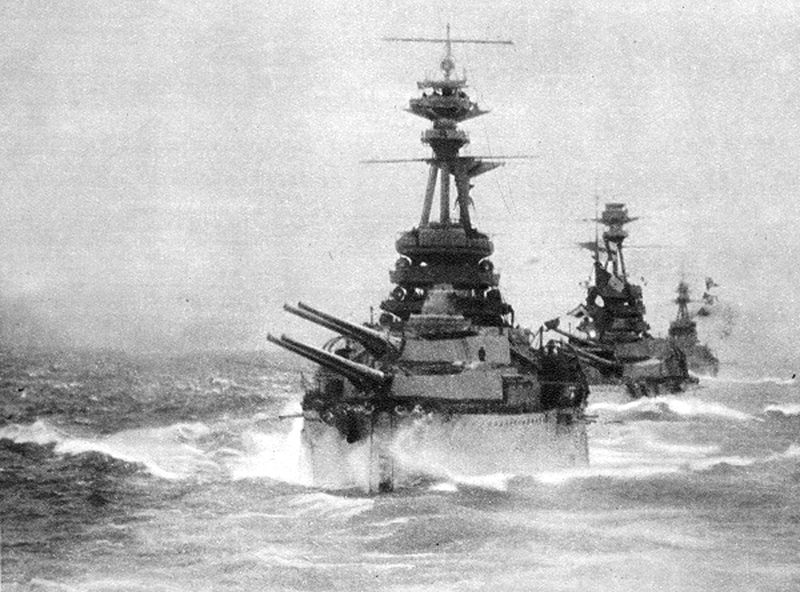 After 31 May 1916 the Royal Navy retained control of the North Sea, effectively bottling up the German capital ships and allowing them to play no further part in the war. It meant that the naval blockade of Germany became increasingly effective, so much so that by the spring and summer of 1918 there was starvation and destitution in many German cities. If the British blockade of Germany was a major factor in the Allied victory, Germany also nearly pulled off a similar coup. 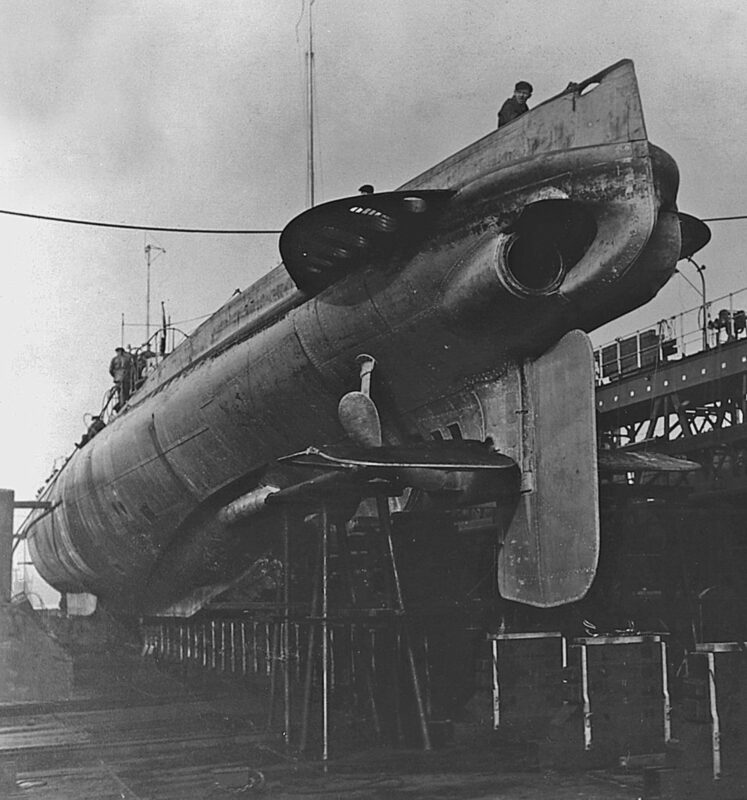 Following the failure of its surface fleet to destroy the Royal Navy, Germany turned in ever greater desperation to its submarine fleet. Not only did the sinking of Allied and Neutral cargo ships almost bring Britain to her knees in 1917 and 1918, the indiscriminate use of U-boats effectively brought the USA into the war. Once America entered the conflict it became essential to cripple Britain before supplies, weapons and troops from the New World began to arrive in huge numbers. 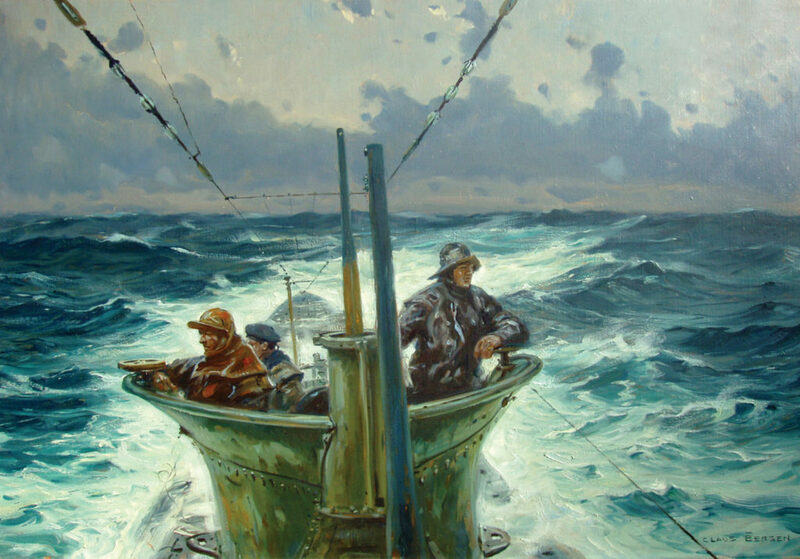 This, of course, meant more submarine sinkings and a degree of terror on the Atlantic that was only really ended by the adoption of the convoy system. Arguably, the success of the U-boats in 1917 and 1918 spawned the creation of Dönitz’s U-boat fleet in the Second World War. 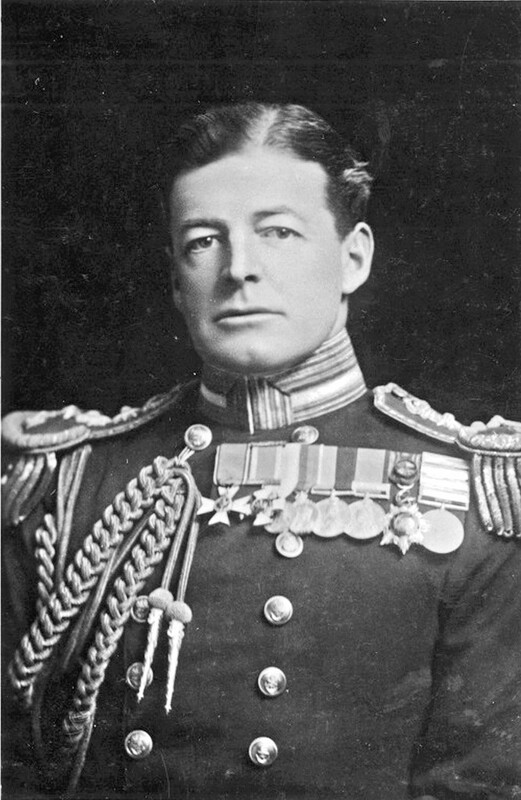 Admiral Beatty - hero or villain of Jutland, depending on your source. None of this would have come about had Admirals Scheer and Hipper managed to destroy the Grand Fleet at Jutland. They certainly had a good go at it, aided by the criminal laxity of Admiral Beatty, commander of the British battlecruiser squadron. Beatty and his commanders were obsessed with the concept of rapid fire. The battlecruisers were notoriously inaccurate with their gunnery – only a few weeks before Jutland the captain of the Tiger had been reprimanded for poor returns during gunnery practise. Consequently Beatty felt that the weight and quantity of shells fired in action would be a good alternative to accuracy. 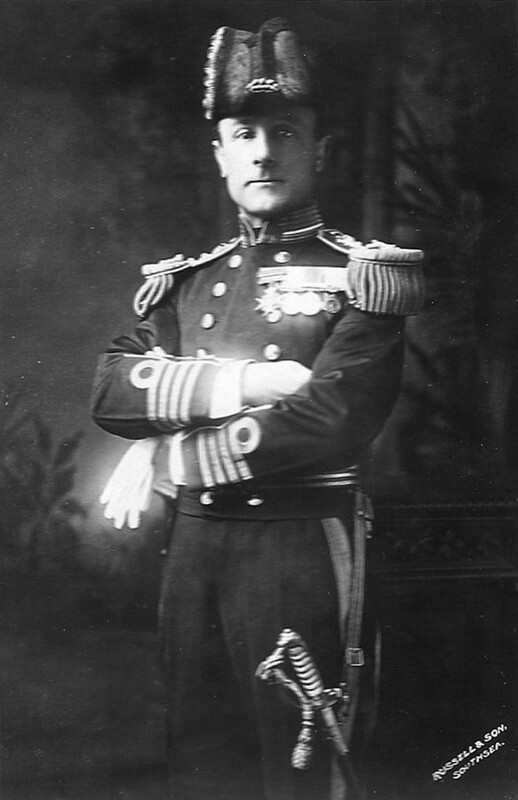 At dawn on 1 June Admiral Jellicoe found his fleet spread out across the North Sea. 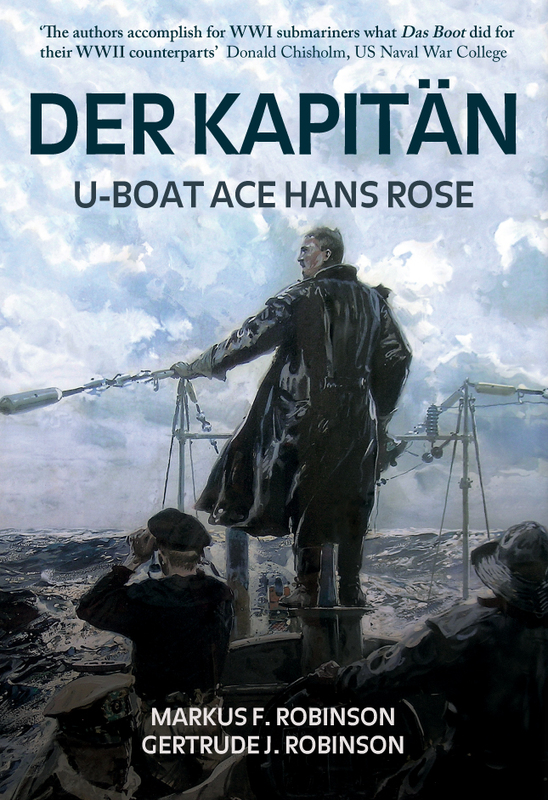 But of the German High Seas Fleet, there was no sign. He had won the day and, with the threat of submarine attack growing more likely by the hour, he ordered a return to Scapa Flow and Rosyth. In order to facilitate this quick firing, cordite was removed from its protective casings before action began and unprotected charges were stacked on mess decks and in gun turrets all across the ships. In addition, the doors to the magazines were left permanently open so that charges and shells could be moved more quickly. What that meant was that the British battlecruisers were little more than floating bombs, waiting to go off once accurate German fire hit home. Two battlecruisers exploded and sank in the early stages of the battle, one more just before the end, causing Beatty to make his famous remark, ‘There seems to be something wrong with our bloody ships today.’ There was – it was Admiral David Beatty and his captains. Interestingly, the commander of the battlecruiser Princess Royal refused to have anything to do with the shoddy practise of the other ships. The Princess Royal was hit by dozens of German shells but the closed magazine doors saved lives and his ship. The High Seas Fleet had lost fewer ships (eleven German compared to fourteen British) and with 2,545 men killed, compared to 6,097 British, they claimed a victory. However, their ships had sustained considerably more damage and several of them never sailed again. 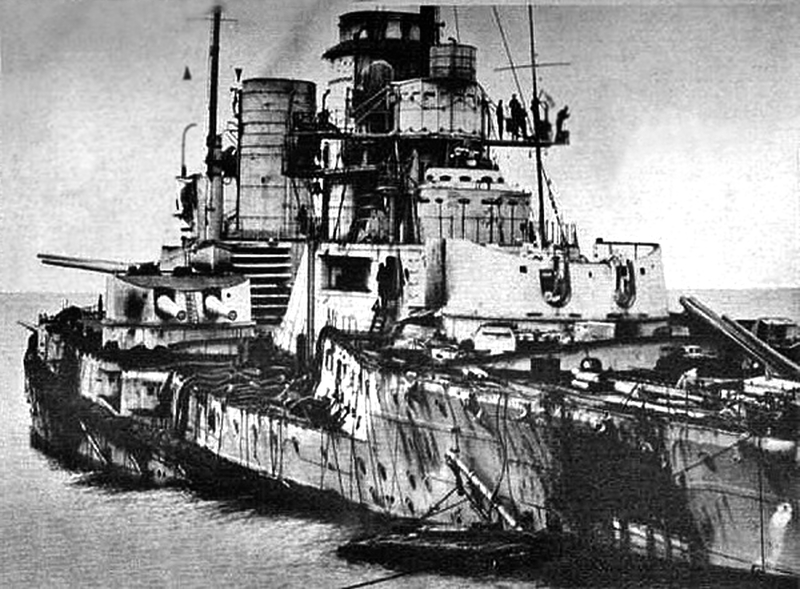 This shows the damage to Hipper's flagship Seydlitz. In the wake of the battle an enquiry, headed by Admiral Tudor, was held to determine the cause of the British losses. Tudor’s report was condemnatory of the ‘open doors’ policy employed on the battlecruisers but the Navy chose to suppress the report and blame, instead, the poor deck armour of the ships. 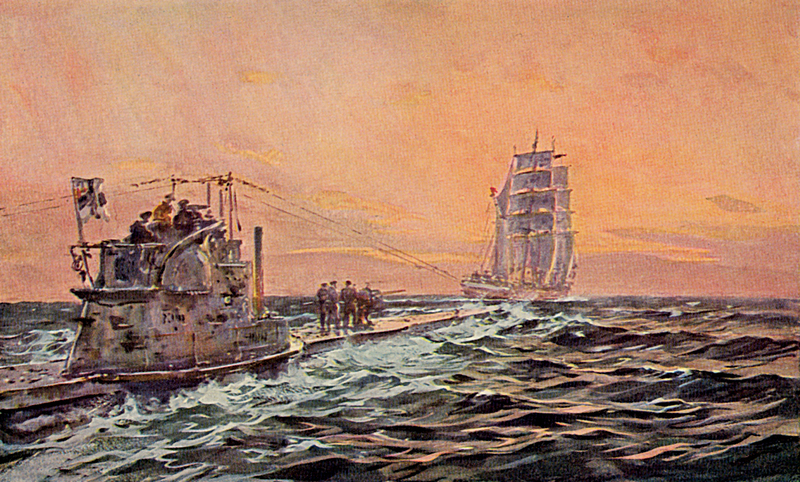 Admiral Tudor was even forced to write a letter of apology to Beatty and was subsequently posted to the backwater of the China Fleet. Despite the higher British losses (6,097 men compared to just 2,545 German sailors) Jutland was a hugely decisive and effective battle, particularly for the Royal Navy. At the end of the day, as the High Seas Fleet retreated to its base, the war had been effectively won by the British. The conflict might drag on for another two years but naval commanders, planners and politicians on both sides were supremely aware that the outcome of the war was decided on 31 May 1916. 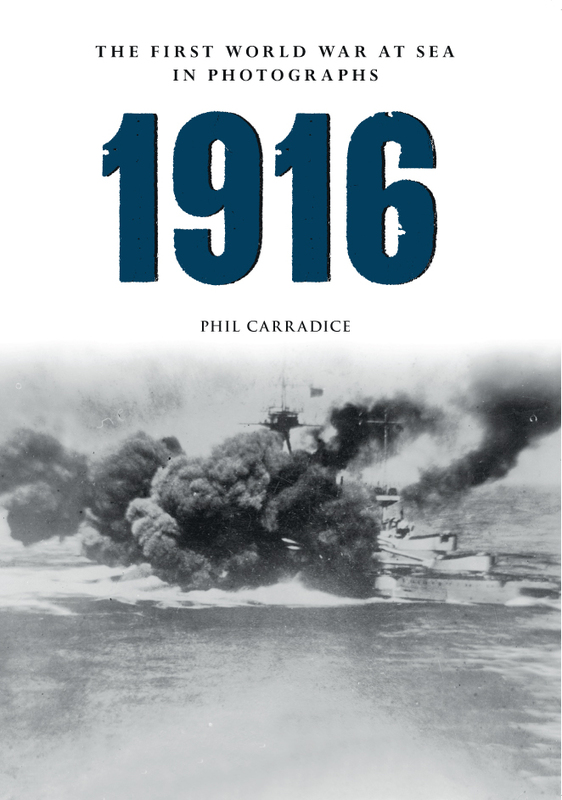 Phil Carradice's book 1916 The First World War at Sea in Photographs, along with the rest in the series, is available now. This entry was posted in Blog and tagged Navy History, WWI, World War One, Jutland, 1916 The First World War at Sea in Photographs, Phil Carradice, First World War, Amberley Publishing on May 31, 2016 by Amberley Publishing.